It was chore time for me and I really didn’t know where to get business cards, one of the items on my list. 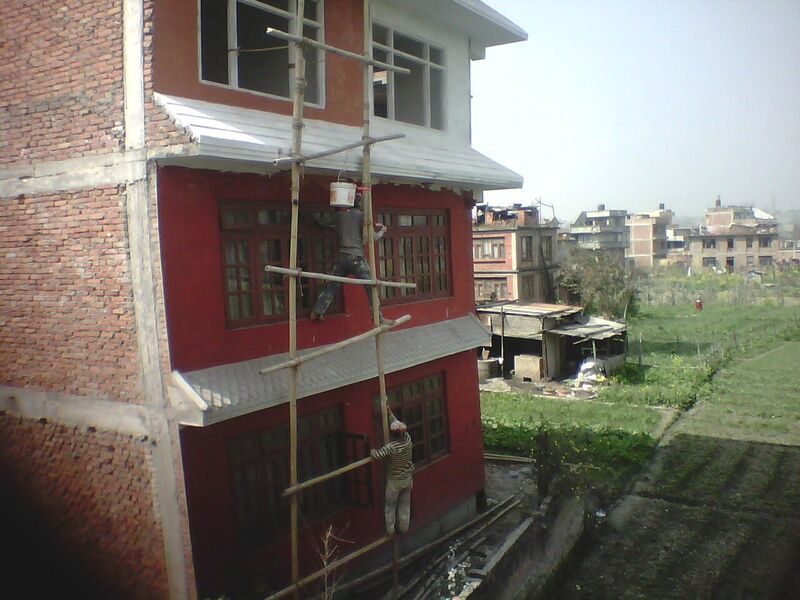 Getting things done in Nepal can be a real adventure. So my assistant and I were pointed down the street to a place called The Peacock Shop. This factory is located in Datteraya Square, the largest of the centers in Bhaktapur. 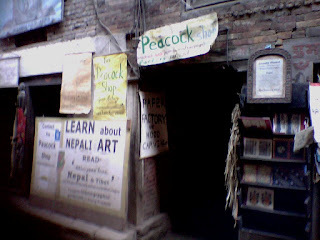 Look for the Peacock Window and the Peacock Shop is on the opposite side. 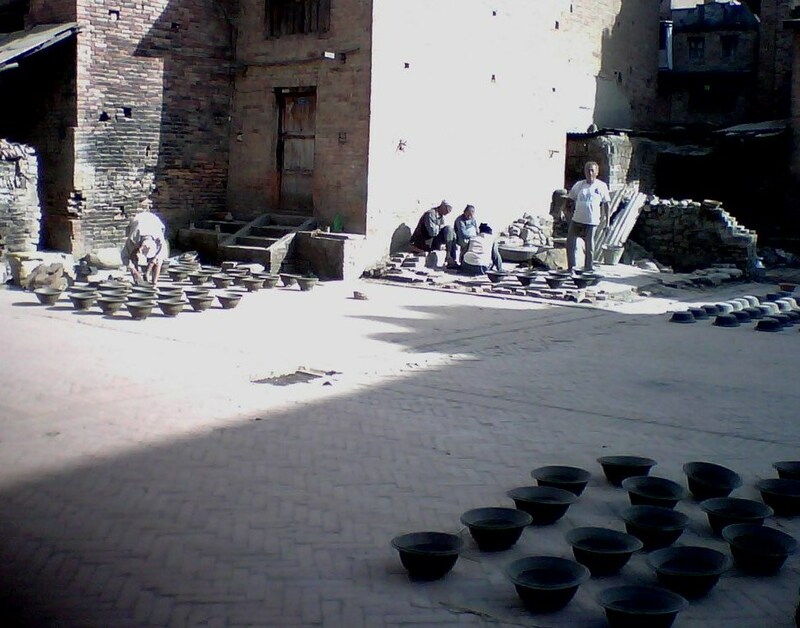 There were pottery makers working outside in the back. This area is considered to be the mini pottery square. 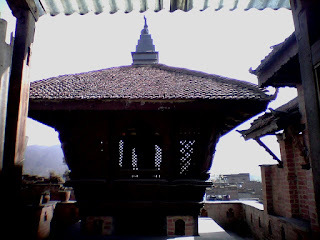 If you have only a short stay in Bhaktapur this area will serve you well. One of the reasons I hadn’t had cards made yet was because I wanted to get cards made on a natural fiber. Plastic coating is not attractive to me and this paper factory held the answer. After sitting down with the owner and his daughter who served as a translator, he invited me to have a tour of his paper making factory. 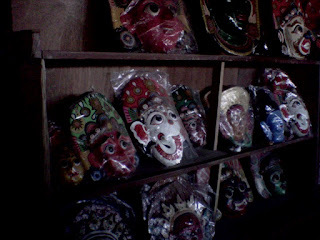 This family owned factory also specializes in wood carvings, pottery and handcrafted paper masks. I was surprised to learn the paper masks are twice the price of the clay masks. They have a nice selection of woodcarvings and do custom work. 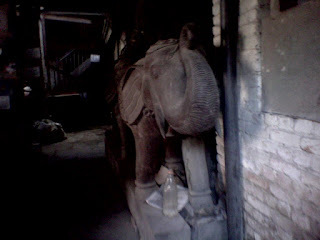 The carved elephants in the store were almost life size with bodies were made from one piece of wood. Although pottery doesn’t always travel well, I found an excellent bargain to take home. Instead of buying the expensive thanka paintings a person could purchase a lovely silk screen print on rice paper that would be lovely in a frame. Instead of buying an expensive mat you could simply buy a color poster board and place the print on top of it in the frame. 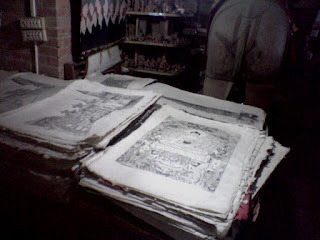 The prints were only 500 NRs. for 24X36 inch size. Like most shops carrying this type of item, The Peacock Shop provides shipping tubes at no charge. The factory is located in a tall building and on the top floor is a beautiful, huge, temple with a near life size Buddha inside. 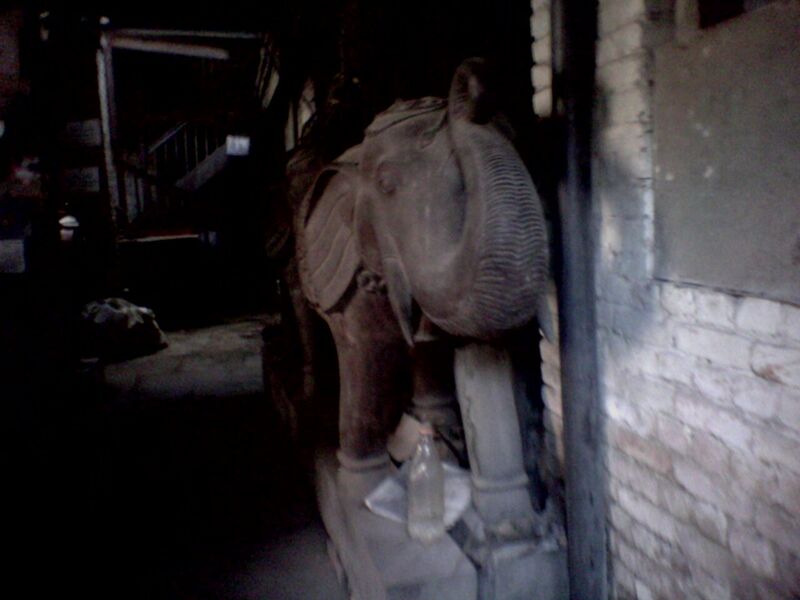 Ganesh and Kumar are built into the structure at the front pillars. Due to the way the sun was shining I was not able to do the temple justice in this picture, but it was a lovely final touch on the tour. I am amazed at how intertwined Hindu and Buddhism are. To compare it to Christianity it would be like seeing an Eastern Orthodox cross in a Baptist Church. I was very impressed with how well the employees seemed to be treated. 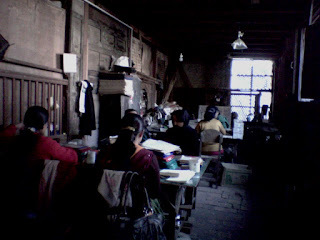 The women were chatting casually as they worked on the sewing machines or paper trays. They all had good chairs to sit on. If you are not impressed with this as outstanding, take a look at the following picture to see how employees are treated in other professions. As it turned out, they over-charged me by double what the business cards should have cost. This led me down a long and dark path into the inner workings of the Nepali mind. Don't go there...it doesn't make any sense at all.